We redesigned the Social Explorer website to improve the overall user experience, whether you’re a first-time visitor or a longtime user. Check out our new user dashboard, improved project organization, and faster search. Our website isn’t just different. It’s smarter too. Our new website offers tailored experiences for first-time visitors and existing users. 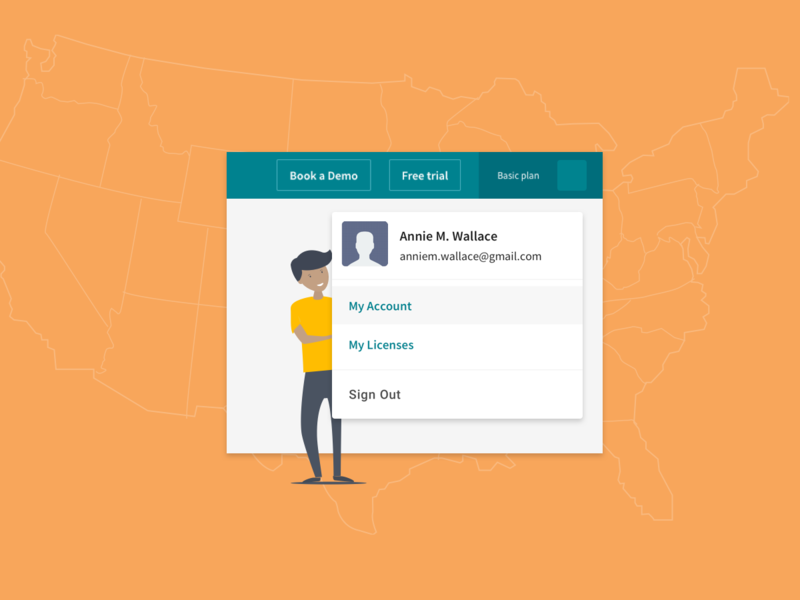 If SocialExplorer.com recognizes that you’re an existing, signed-in user, you’ll be able to dive right into the site’s resources and tools. If you are a first-time visitor, you’ll be able to learn all about SocialExplorer and what the site can do for you. Everything you need is just a click away. You can easily navigate between Social Explorer maps and reports featuring the most popular variables and your own projects in the new menu on the left-hand side. We divided projects by type, and your maps, reports, and stories are now organized in separate lists for easy access. We also added a completely new way to create projects right from the Dashboard. 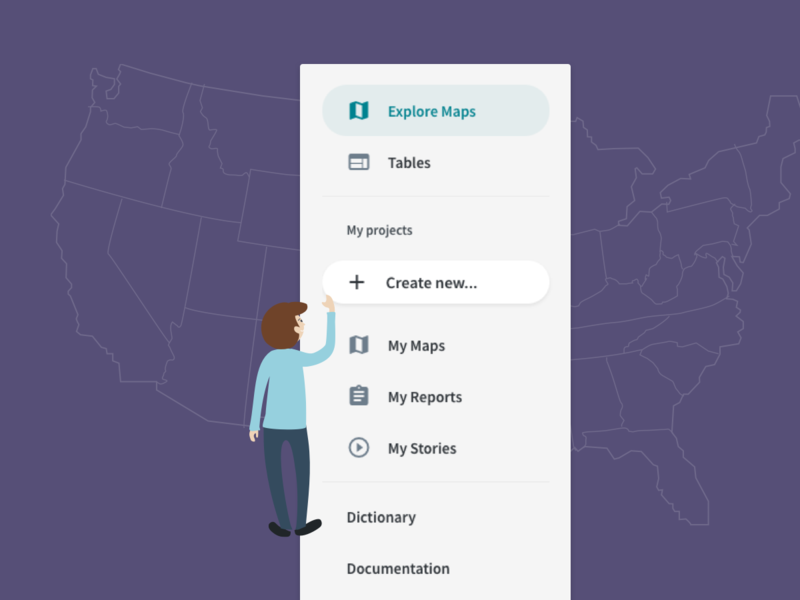 Click on the Create new button in the sidebar to make a map, report, or a story. You can also now use any of the Social Explorer maps as the starting point instead of using the default U.S. Demography map every time. Finding the right project got a lot easier too. We placed functions such as filtering, sorting, and searching just above the project list. The new interface gives you easier access to your account details, which you will see in the avatar in the upper-right corner, right next to your profile picture. Here you can access the My Licenses page, which is where you can upgrade or change your plan, update your payment details, or download your entire billing history. 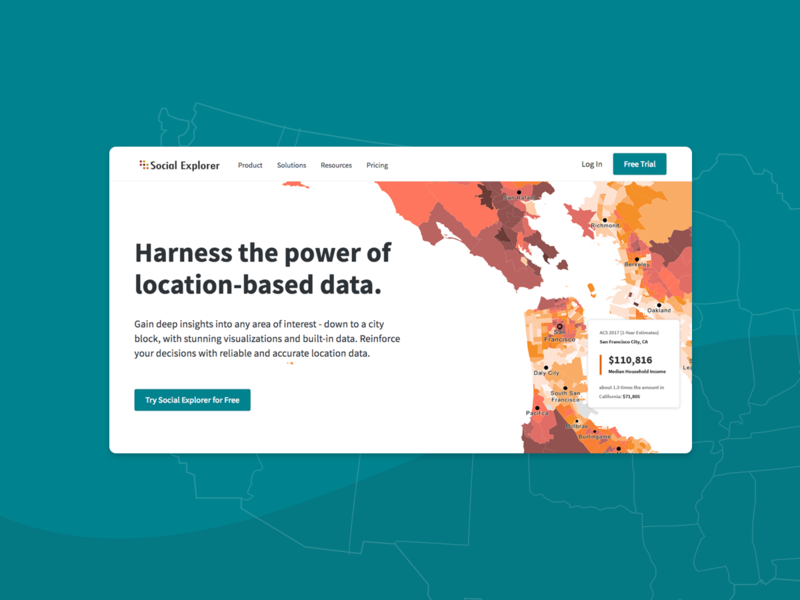 These changes are driven by the same urge that launched Social Explorer back in 1999: to offer a powerful, yet easy-to-use online interface that gives users access to location-based data using mapping tools. You can still visually explore hundreds of thousands of data indicators related to demography, economy, health, religion, politics, environment, crime and more, or interact with data, download it for easy offline processing, and create reports without ever leaving your browser.